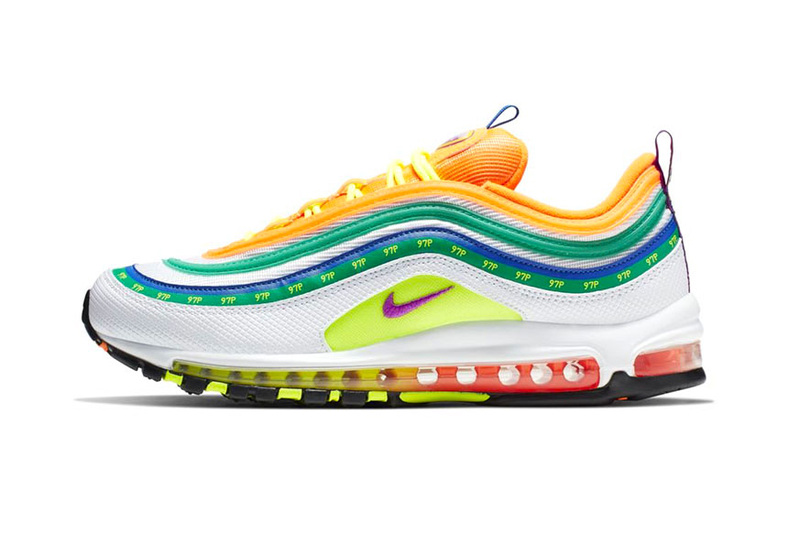 Also utilizing the AM97 model, the “London Summer of Love” designed by Jasmine Lasode incorporates vibrant colors into the upper’s wavy striped construction, symbolizing happiness and falling in love in the city. Hits of orange, deep green, volt, blue, and yellow mixes with white on the upper portion of the sneaker, while a yellow-turning-to-red gradient has covered the signature Air unit. Elsewhere “97P” and “Good Chat” typography can be seen along the shoe’s profile and on the heel tabs, while “Open” and “Close” can be seen written on its right and left inner sole. This “London Summer of Love” Air Max 97 is just one of six silhouettes that make up Nike’s “On Air” contest. So far no official releases notes have been revealed as of yet, but Nike’s “London Summer of Love” Air Max 97 is expected to land at select Nike retailers and nike.com at a retail price of $160 USD this April. It took four years to develop. With contributions from Juto and Mac DeMarco. He steps down as creative director after almost two years.